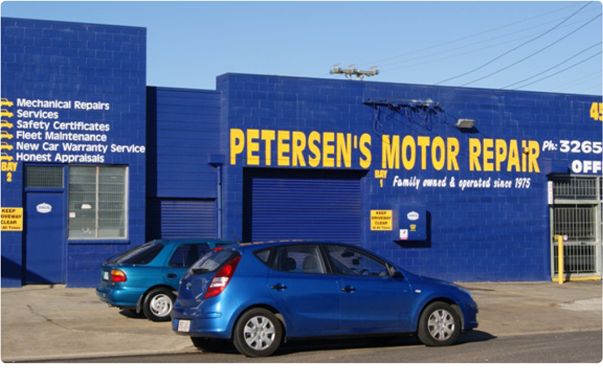 Petersen’s Motor Repair QLD is a family owned and operated mechanical workshop located at 45 Granite Street, Geebung in Brisbane. We have been providing mechanical repairs, services and safety certificates since 1975. The owner Andrew Petersen, son of original owners Audrey and Phil Petersen, has been running the workshop since 2007. Petersen’s Motor Repair QLD is well known in the area as a professional but friendly business, where you can meet and talk to the mechanic who will work on your vehicle. The workshop is an RACQ Approved Repairer and “Female Friendly” accredited. We can also provide loan cars (booking essential) and the workshop is just a five minute walk from Geebung Railway Station.